In fact, being alert to what’s going on in the world is usually a great way to get started as a writer. Many local or regional newspapers are interested in stories of community events. A simple news item might give you inspiration for a follow-up feature article, a poem, a story, a related news item, or something larger. A story in a national newspaper or magazine might give you a bigger idea. Or you might simply use something in the news as part of a larger story or book. Years ago, I decided to enter the Toronto Star’s short story contest. I think it was fairly new at the time. However, I had difficulty thinking of something to write that I thought the panel of judges would be interested in. I tried several things and was feeling my wheels spinning. Nothing felt right. After some thought, I decided that the judges would likely be looking for something that was “current” in some way. So I went through our stack of newspapers for the past week. I found several stories about the closures of some of the VIA rail services. Hmm. What did I know about railway services? Honestly, not much. But then I remembered some random things. I’d been raised in a small town and I knew there were some people who depended on the train. Plus one of my mother’s uncles had been a railway station manager in a very small town. I thought of my grandmother on my mother’s side. She was a strong-minded person who didn’t say much. But she knew what she liked. What if she still lived in a small town and didn’t drive a car? And what if there was a railway train she could take to the city once in a while? The resulting story, One Last Ride on the VIA Rail, was a Judge’s Choice in the Toronto Star Short Contest that year, and was published in the Toronto Star. The character in it isn’t my grandmother, and the story is pure fiction, but thinking about her personality helped me come up with the main character and the story-line. Over the years, I’ve written quite a few regular columns, including one in our local newspaper. Of course, one of the best ways to find things to write about when you are writing regularly is to watch for what’s happening and use it as a jumping-off place. One that stands out was a column I wrote for our local newspaper that was inspired by several near-misses during the 1998 Winter Olympics in Nagano, Japan. Particularly that of Brian Stemmle, a Canadian skier who had a terrible crash in 1989 in Austria at Kitzbuhel. Brian broke his pelvis and massive internal injuries, which led to infections, and there were fears he would die. Instead, he came back and skied for 9 more years on the top circuit. At Nagano, Stemmle had the fastest time in the downhill race and was on his way to a gold medal when he caught a rut and missed the final gate. He was disqualified. As I sat watching in disbelief, all I could think about was how unfair life can be. Surely, after everything that had happened to him, and all his hard work to come back after nearly dying, he deserved that gold medal! It was just so unfair for him to miss that one stupid gate and not only lose the gold medal but any medal. That thought led me to think about some of other “unfair” things that had happened to other people, and a few that had happened to me. And it ended up as a column called “Remember to learn from life’s ‘unfair’ experiences.” I’ve since updated and reused that column several times. 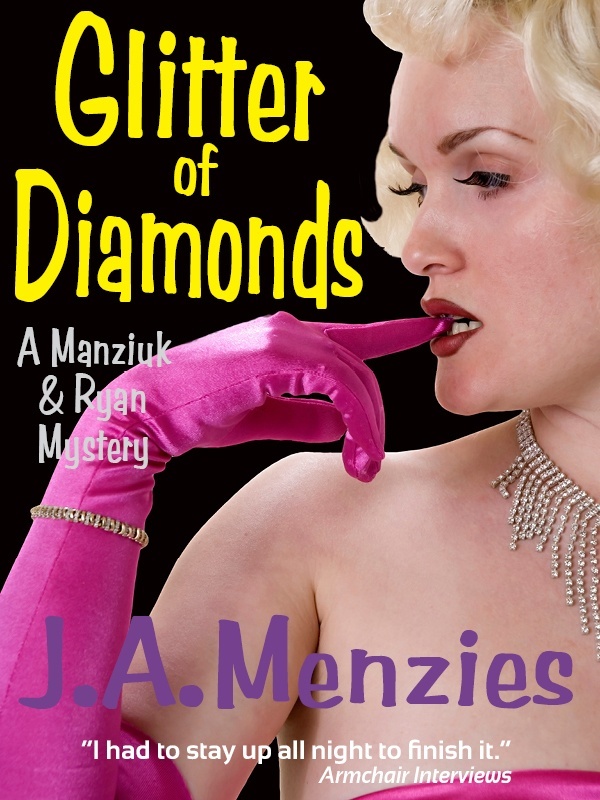 Even though my novel, Glitter of Diamonds, is a mystery, it’s actually based largely on actual events. One of the main characters is a young pitcher who has escaped from Cuba and been granted asylum in Canada. I got the idea for this book from three different news/events sources. 1. Listening to Bob McCown on the FAN 590 one day, he and his guests were talking about sports figures who act like jerks and how some of them needed a good wake-up call. 2. A Cuban ball player had recently defected. I knew that over the years, Livan Hernandez and a number of other Cuban baseball players have escaped from Cuba and gone on to play for major league teams. Surely there would be more. 3. My knowledge that Worldteam Canada, a mission organization, has been planting churches in Cuba because Worldteam USA cannot (due to government regulations). 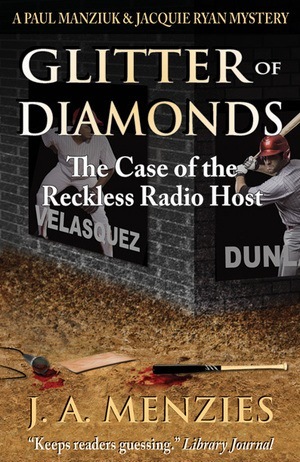 I put the three things together: what if a Cuban baseball player defected and came to Canada, where he got lost in the glitter of opportunities and became a jerk, while at the same time, back in Cuba, his wife was being influenced by Christians from Canada? What would happen when they were reunited in Toronto? And that’s where my starting ideas for Glitter of Diamonds came from. 1. Read through a current newspaper or magazine, or check online for recent headlines. 2. Make a list of news items, feature stories, or anything else that excite, annoy, or intrigue you. 3. Take each one and consider what you might do with it.